Dell Technologies has raised its offer to buy back shares tied to its interest in software maker VMware to US$120 per share, sweetening the deal for shareholders with an additional US$5 billion in cash. The revised terms, announced ahead of a scheduled vote on the deal on 11 December, cap 1-1/2 weeks of negotiations between Dell and its private owners, and several large shareholders such as Elliott Management. In July, the computer maker offered to pay US$21.7 billion, or US$109 per share, in cash and stock to buy back shares tied to its interest in VMware, returning the Dell to the stock market without an initial public offering. The tracking stock is tied to an 81 per cent economic stake in VMware. Hedge fund manager Carl Icahn, who owns a 9.3 per cent stake in Dell, had resisted the initial plan, saying the proposed deal massively undervalues the tracking stock. Icahn did not return a request for comment on the revised terms on Thursday. Icahn sued Dell earlier this month and said VMware, the company tracked by DVMT shares, should be worth US$300 per share. The billionaire investor said on Wednesday that shareholders should be given basic corporate governance rights, including the right to elect at least three independent directors. A chunk of shareholders already support the new deal. 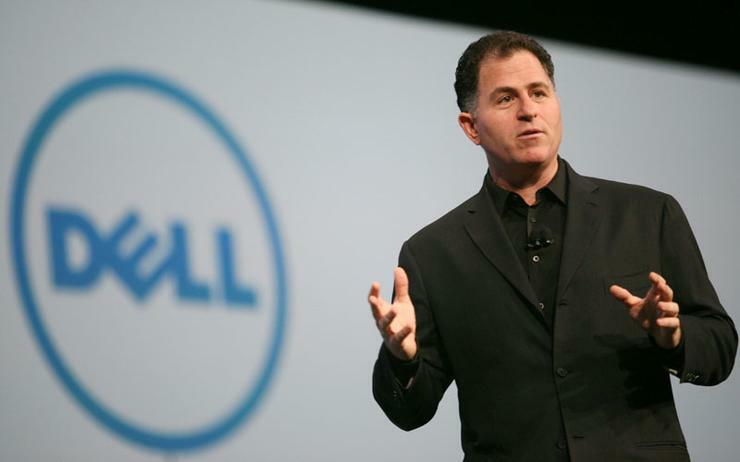 Dell said in a release that it received binding agreements from investors representing 17 percent of shareholders to vote in favour of it. “It will start to move forward at this new price of US$120 a share. It seems many of the large holders are agreeing to accept it," said Ivan Feinseth, director of research at Tigress Financial Partners. In its previous offer, Dell had offered to exchange each share of VMware tracking stock for 1.3665 common shares with cash consideration of not more than US$9 billion. The latest offer equates to 1.5043-1.8130 common shares with a cash component of up to US$14 billion. Shareholders will have a choice of cash or stock, though if all investors were to select cash, the consideration would be dealt out proportionately to all shareholders, with cash making up 59 per cent of the offer. The cash part of the increased offer price from Dell will be funded by new debt issued by the company of up to US$5 billion, the company said in a statement.